Linden Lab, the company that created Second Life, is hoping to give the largest virtual world, well… a second life. The company has invited an exclusive core group of creators to be the first to test the new game, codenamed Project Sansar, for virtual reality. The new game is not actually a sequel to Second Life, but will be based on the same open world where users create their own surroundings in a virtual environment. Users will be able to explore the virtual world using graphically advanced avatars and communicate with others using text and voice chat. Project Sansar will be a VR platform that will be compatible with devices like the Oculus Rift. It will also be available on PC and mobile devices. The company hopes to "democratize virtual reality as a creative medium." It is designed to allow creators of varying levels of experience to build their world around them without worrying about such issues as hosting and distribution. "We want to lower the barrier of entry for VR experience creation," said Ebbe Altberg, CEO of Linden Lab. "Project Sansar will do for virtual experiences what WordPress has done for the web: empower a broad range of people to create with professional quality and reach global audiences." Read more: Explained: How does VR actually work? The game will be updated with more advanced server space, which will allow for real life companies to invest in advertising within the virtual world across a wider audience. The idea behind Project Sansar is bigger than Second Life. Linden Labs plans to allow brands and developers to build their own virtual reality experience with deep links to them from their own website. 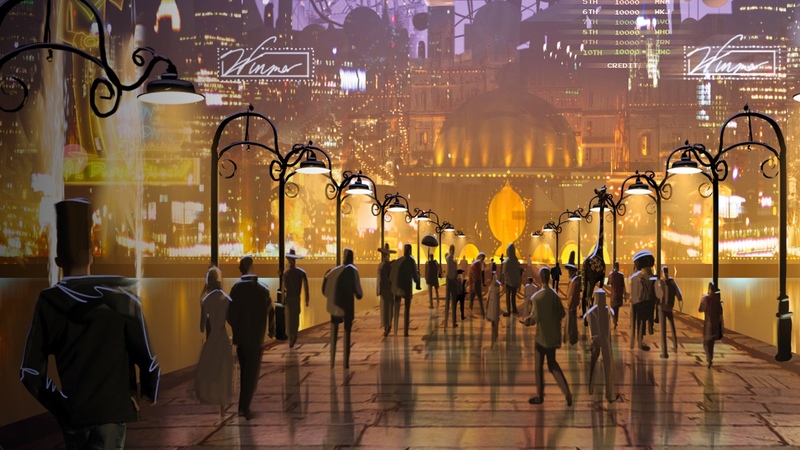 Linden Labs' future world of virtual reality may be big, but it is not the first. The Verge pointed out that the company's founder and former CEO, Philip Rosedale has his own open world virtual reality game called High Fidelity, currently in alpha and available for download.